Super durable nail adhesives from Japan. These are thick for maximum adhesion and translucent so they are invisible on the nail. Some of the best I've found! These can be used for several days wear if excess oil and water are avoided. These can also be used for body art to attach jewels and embellishment, etc. All around very useful adhesive for dress up, costume and drama. Sold by the sheet. Each sheet is enough for 1 manicure. Petite size: 1 sheet includes 14 individual sticky tabs. Regular size: 1 sheet includes 12 individual sticky tabs. Instructions: Ensure natural nails are clean and dry. Make sure there is no hand cream, oils, etc. near the nails or cuticles. Choose the largest tab that will fully cover the nail without extending beyond the edges of the nail. Tabs may be cut to size if needed. 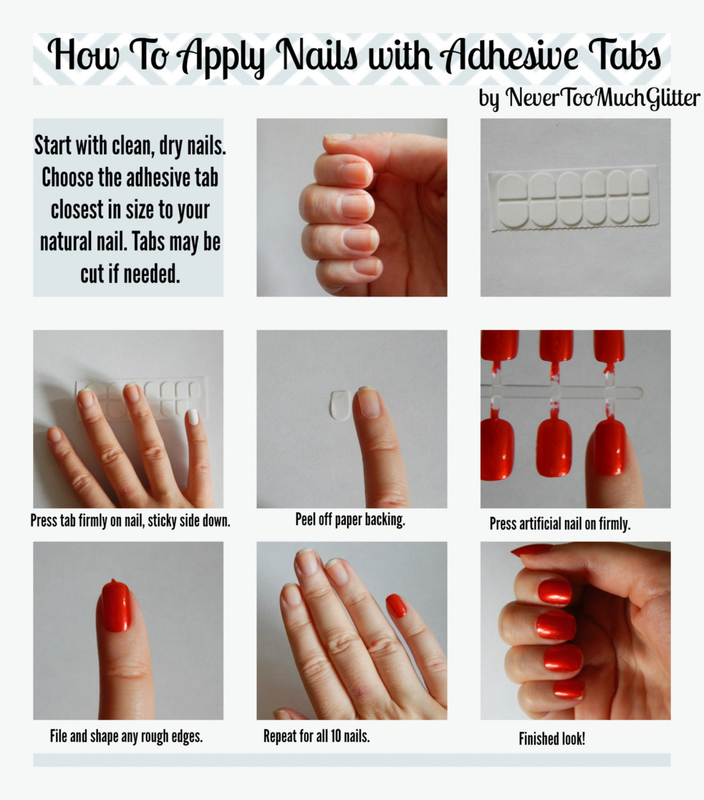 Apply the tab to the natural nail sticky side down, leaving the protective paper on the top side. Press firmly. Peel the protective paper off the top and press on the artificial nail. Press firmly and roll the nail from side to side, and you're ready to go! To remove, soak hands in warm water with some added oil for several minutes. The adhesives will loosen.